During Apple’s 2015 conference, the tech giant unveiled a gargantuan sized slate, but now with iPad Air 3, the company is attempting to tone things down, at least in the size department. In the specifications department however, iPad Air 3 is expected to pack the same amount of specs as its 12.9 inch counterpart, with a tad bit difference, here and there. Previously, we reported that iPad Air 3 could be launching as early as March, and while the specifications of the upcoming slate have been kept in the dark, Taiwanese sources state that the upcoming tablet will be packing a 4K display, along with 4GB of RAM. While the following is yet to be confirmed, the slate will most likely feature memory that will be running at DDR4 speeds. As for the screen size, Apple could be retaining the same size as it has with the previous generation of its iPad Air lineup, meaning that iPad Air 3 could be rocking a 9.7 inch screen with a 4K resolution. Apple’s iPad Pro featured a resolution of 2732 x 2048 pixels, meaning that the PPI density of iPad Air 3 will exponentially increase, assuming the report turns out to be true. If this does manage to happen, then the company will have to make sure that the product is packing a lot of processing power, and we have to say that after witnessing the magic of A9X, we would not expect anything less to be present inside it. Time and time again, we have seen that Apple has advanced extremely well in harmoniously optimizing its software with its hardware, making it a cut above the rest of the platforms in some manner or the other. A9X features a dual-core 2.26GHz processor and that is enough to put the competition to its knees, particularly Intel’s Core m3 processor, which is present in machines like as Surface Pro 4 and Surface Book. Despite the fact that iPad Air 3 will have a higher resolution, A9X will easily be able to push all those pixels around the 9.7 inch frame, assuming all of this turns out to be true. 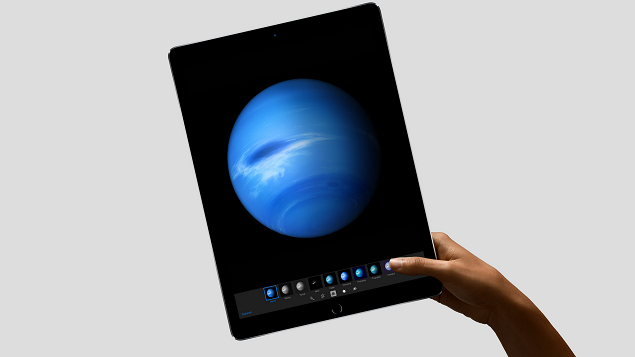 However, the obvious disadvantage that you will face while imminently purchasing an iPad Air 3 is that it will feature a smaller battery capacity, and the larger resolution on a small amount of real estate will obviously chew up more battery life, but with the promise of future software updates, this issue will be mitigated to a certain extent.